Built in 1669 and surrounded by the fells of the Northern Lake District, High Houses is a wonderful and unusual place to stay - Self Catering or B&B. 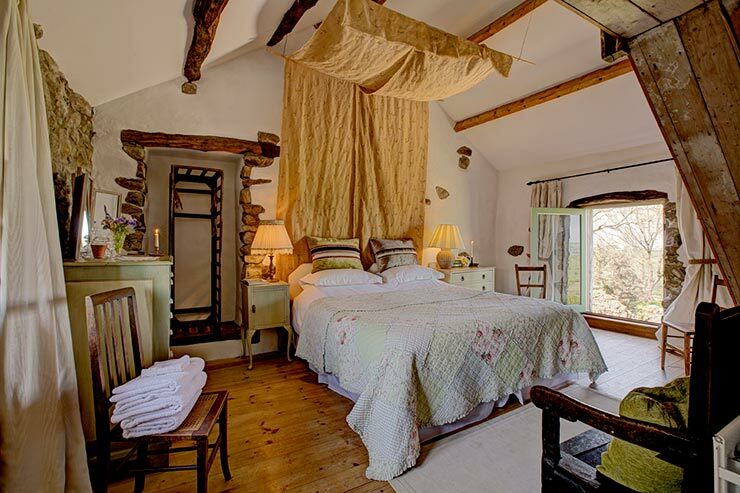 Brimming with ambience this Cumbrian farmhouse accommodation is perched aloft on a hillside in the Northern Fells, close to the villages of Ireby, Uldale, Bassenthwaite and Caldbeck, and only 5 miles from Bassenthwaite Lake. 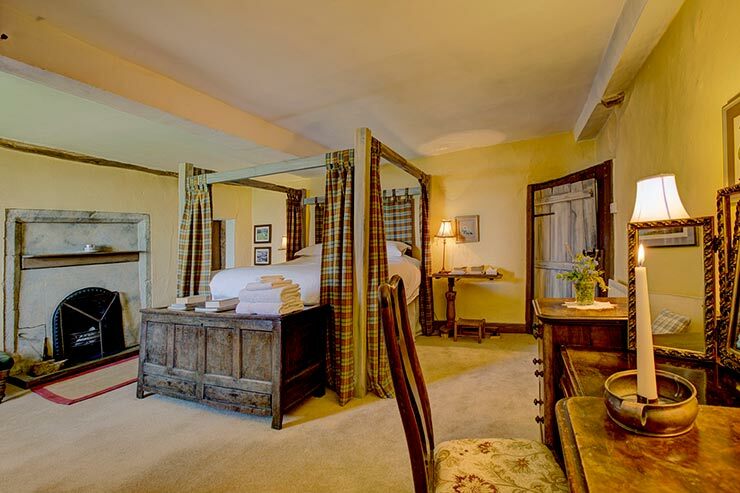 Lovingly restored over several years, there are now 3 guest bedrooms, 1 en-suite bathroom and 1 shower room, sitting room, Inglenook room and kitchen, all retaining many of their original features. Stone slab floors, timber beams and open fires are all part of the High Houses experience. Green energy is provided by wind turbine. 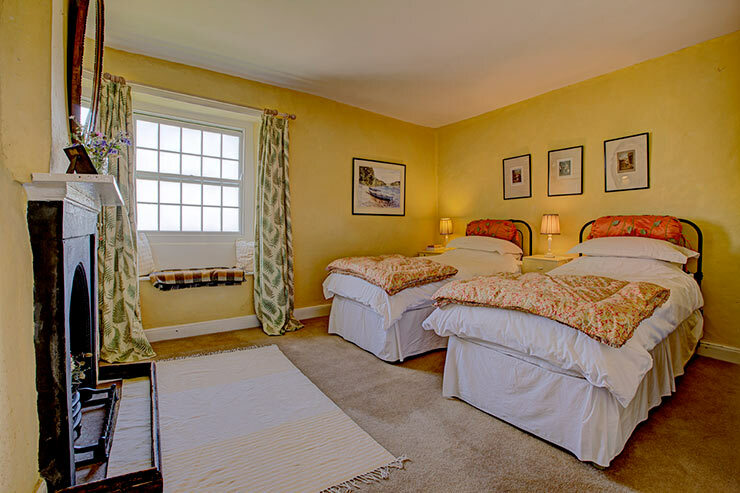 The farmhouse is a wonderful warren of a home where rooms run off long corridors. From the entrance hall is a long view to the kitchen at the other end of the house. Formerly the stable, this room still has the original stone trough and horse stalls on which are written the winners of local point-to-points. Everywhere, details hint at the house's historic nature. The views from the house towards Scotland over the Solway Firth are breathtaking! Super-king bed with en-suite bathroom with claw foot bath. Staircase up to a cockloft with 2 extra single beds. Super-king 4-poster bed, with open fireplace and sofa bed. Views towards Scotland. Seperate shared shower room. Twin beds (or super king) with open fireplace. Views towards Scotland. Seperate shared shower room.